Vinyl is economical, durable and more stylish than you remember. 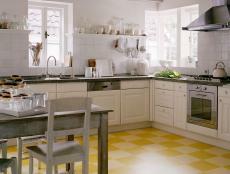 A popular choice for kitchens, this resilient flooring is a versatile, economical option. 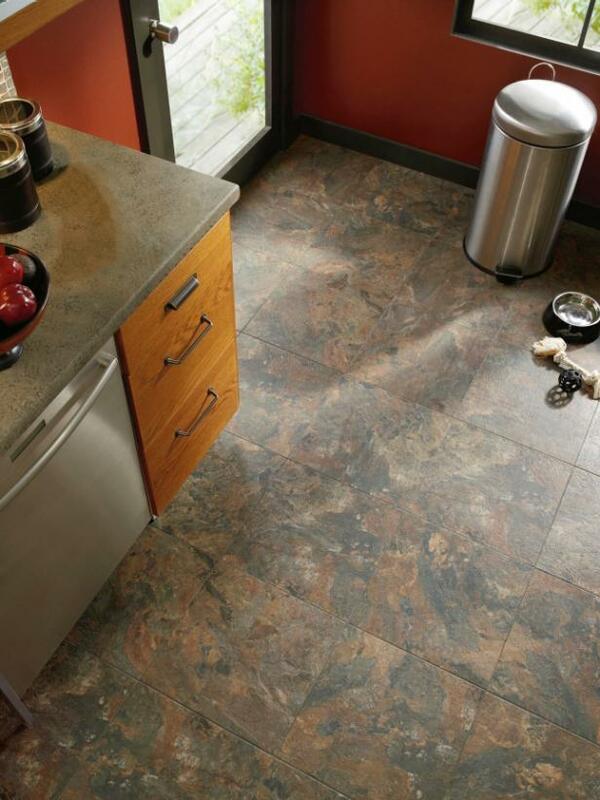 Vinyl comes in a wide range of colors and patterns that mimic hardwood, ceramics, and stone. The surface's elasticity and warmth make it comfortable to stand on, and plates, cups, and glasses often won't break when dropped. Unlike the dated floors of past generations, today's vinyl features better textures and colors for a more realistic appearance, thanks to improvements in the rotogravure (engraving) process for the surface. You can buy vinyl with textures that look like slate, leather, even wood. The Lowdown: Vinyl is composed of four layers: a protective urethane top coat, a protective clear vinyl layer, a printed design layer, and a felt or fiberglass backing. Tough Enough? Vinyl is a durable surface that shouldn't stain, scratch, or fade. Vinylespecially the luxury stylescan handle spills, kids, and pets with ease. May types are imbued with antimicrobial protection to fight bacteria, mold, and mildew. How to Clean: Wipe up spills immediately. Sweep, dust, or vacuum regularly, and occasionally wipe the surface with a damp mop or cloth. 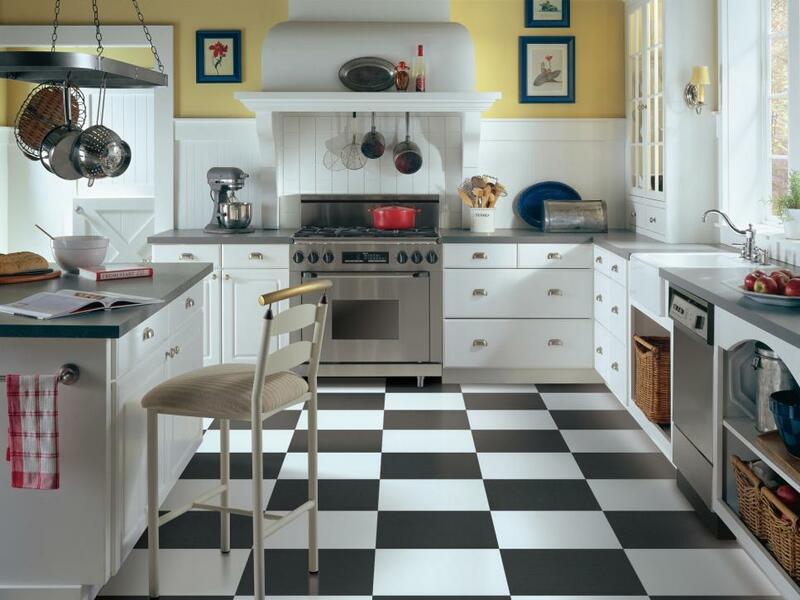 For glossy floors, occasionally strip and reapply polish as necessary. Avoid waxing or buffing the surface. 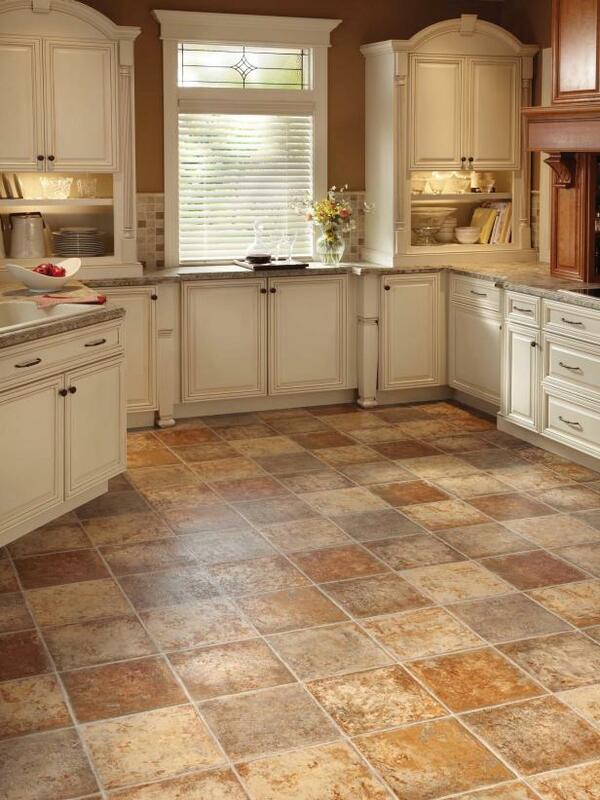 Vinyl flooring comes in three basic forms. Sheets. Offer a seamless look and comes in a variety of colors, designs, and patterns. Tiles. Emulate ceramics and can be arranged in any pattern. 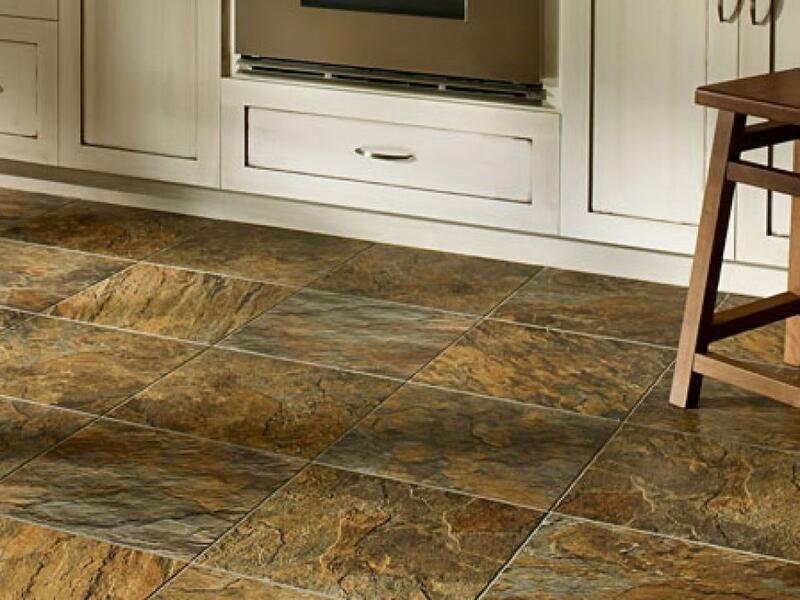 Some manufacturers now offer vinyl tiles that can be used with color-coordinated grout, making them look even more like tile. Planks. Look like hardwood, with realistic colors and textures. 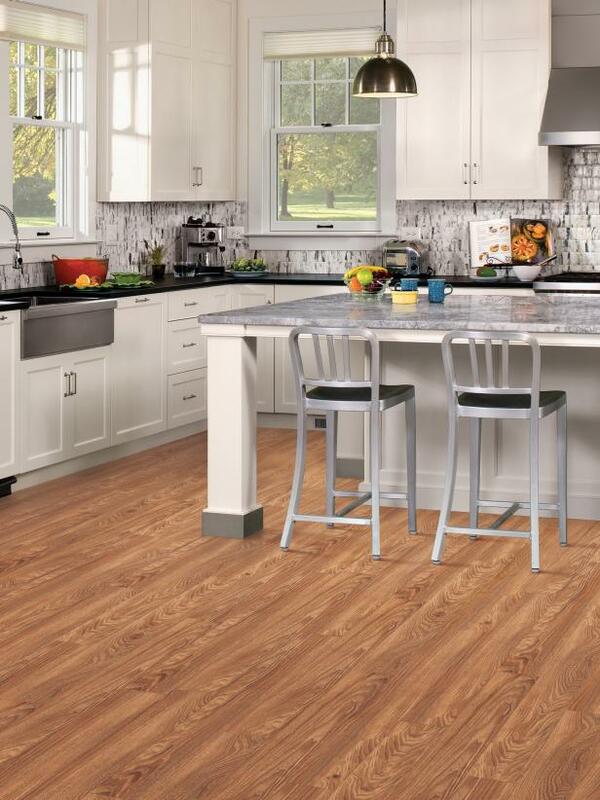 Vinyl planks can mimic distressed surfaces or exotic species, and have beveled edges. Underlyament. With proper prep, vinyl can be installed over virtually any flat, dry, clean surface. In most cases, a plywood underlayment is recommended for the best results.